Atrial fibrillation (AF) is the most common sustained arrhythmia, and is ubiquitous in clinical practice. The underlying mechanisms of initiation and maintenance of AF are complex and not completely understood. This knowledge, however, is fundamental for the development of treatment strategies for AF. Within the last 20 years, catheter ablation has played an increasing role as a rhythm control therapy. Based on diverse models for the initiation and maintenance of AF, various ablation strategies have been proposed. The cornerstone of AF ablation has been pulmonary vein isolation (PVI). In persistent AF, however, PVI alone is often not sufficient. This may be because of the structural remodelling of the atria leading to dilation and fibrosis amongst other factors. The optimal strategy for substrate modification, however, is still a matter of investigation. Current studies are concentrating on the ablation of fibrotic areas, especially in the left atrium, either detected by delayed enhancement magnetic resonance imaging or by identification of low-voltage areas as a surrogate marker. The second intensely evaluated strategy is the localisation and ablation of rotational activity. Many further randomised controlled trials will likely be needed to determine the optimal ablation strategy for individual patients. Norbert Guettler, Edward Nicol, Joern Schmitt and Kim Rajappan have nothing to declare in relation to this article. In this article, recent progress in understanding the pathophysiology of AF will be summarised with an emphasis on electrophysiological mechanisms and their influence on catheter ablation strategies of AF will be described. permanent AF, which is accepted as a constant arrhythmia without any attempts to restore or maintain sinus rhythm. Persistent AF with a continuous episode of more than 1 year is called long-standing persistent AF. There are two major principles which have gained acceptance; firstly, factors triggering AF and secondly, factors that perpetuate AF. Recent experimental data, however, have suggested that despite the importance of functional re-entry in initiating and sustaining AF, it is significantly more complex than described in the leading circle model with multiple simultaneous wavelets. As GP are located near the PV, it can be assumed that conventional PVI often coincidently eliminates these areas. It has been discussed that this could contribute to the ablation success by PVI. The observation of Haïssaguerre et al. that ectopic beats from the PV can initiate AF led to the cornerstone of AF ablation according to current guidelines,1 namely PVI. As AF trigger sites are often located in the antrum of PV, PVI often involves encircling ipsilateral veins together with RF current as a wide area circumferential ablation.102 Figure 3 shows voltage maps of the LA before and after wide area circumferential ablation. Focal ablation inside the PV has been abandoned because of the risk of PV stenoses. Cryoballoon ablation and laser ablation are alternative energy sources to RF ablation. In the Fire and Ice Trial, cryoballoon ablation has been shown to be non-inferior to RF ablation.103 Recently, a meta-analysis revealed similar overall success rates at 12 months and comparable fluoroscopy and procedural times as well as long-term complications between patients undergoing cryoballoon and RF ablation for AF.104 The authors concluded that operators should chose AF ablation technology based on patient-specific features and preferences as well as operator experience and preference. The strategy of PVI, however, is much more effective in paroxysmal AF than it is in persistent AF. Miyazaki et al. reported that about 70% of patients with paroxysmal AF were in sinus rhythm without any antiarrhythmic drugs with a mean follow-up of 2.5 years after a single PVI procedure.69 AF recurrence after PVI was mainly caused by PV reconnection.70 It was shown, however, that PV reconnection after PVI was present in 90% of patients with paroxysmal AF without AF recurrence.105 Therefore, sustained PVI might not be required to prevent clinical recurrence in patients with paroxysmal AF. In paroxysmal AF triggers are probably limited to certain areas, and reconnection of PVs without such triggers may not cause AF recurrence.106 It was reported that approximately 70% of patients with paroxysmal AF originating from the superior vena cava remained in sinus rhythm after isolation of the vena cava without accompanying PVI after a follow-up period of 5 years.107 But as exact localisation of AF triggers is often difficult, empiric durable antrum isolation of all PV should be performed to minimise AF recurrence. In persistent AF, efficacy of PVI has been limited,108,109 and in many patients PV reconnection was reported to be the cause of AF recurrence.110 In persistent AF, there may be sites of AF initiation and maintenance in all four PVs, so that reconnection even in one PV may result in AF recurrence. Thus, permanent electrical isolation of all PVs is much more crucial in persistent than in paroxysmal AF.106 This can be achieved more effectively by using irrigated RF ablation catheters with a contact force (CF) sensor. Using a CF sensor during PVI was reported to correlate with a more positive clinical outcome.111 The TOCCATA (TOuCh+ for CATheter Ablation) study reported that an average CF of <10 g generally led to AF recurrence, while maintenance of sinus rhythm could be achieved with an average CF of >20 g.111 Another study showed that PVI with a CF of 10–20 g significantly reduced AF recurrence in patients with paroxysmal AF.112 The Efficacy Study on Atrial Fibrillation Percutaneous Catheter Ablation with Contact Force Support (EFFICAS I) proposed a target CF of 20 g and a minimum force-time integral, an index to assess the lesion formation, of 400 g for each new lesion.113 To further improve the prediction of PVI success the lesion size index114 and the ablation index (AI)115 were defined. But universal consensus has not yet been reached on the values required to create a durable lesion. This may also be influenced by atrial wall thickness.116 A step towards a standardised protocol for durable PVI is the CLOSE protocol.117 It is a point-by-point approach aiming to enclose PVs with contiguous and optimised RF lesions. This protocol was based on a prior study from El Haddad et al.118 In this study, 42 CF-guided PVI procedures were analysed with the aim of identifying determinants of acute and late gaps after CF-guided PV encircling. Two independent predictors of durable segments were identified: AI and interlesion distance (ILD). Combining ILDmax ≤6 mm and AImin ≥400 (posterior)/550 (anterior) was associated with a 93% specificity to predict durable segments. Based on these results, the CLOSE protocol117 involved creating a nephroid-shaped circle enclosing the veins. Ablation was performed where the atrial myocardium connects to the PV sleeve, and typically with a >2 cm distance between the ablated anterior and posterior carina. Lesions were closely spaced with an ILDmax ≤6 mm. Energy of 35 W was delivered to reach a minimal AI ≥400 at the posterior wall and ≥550 at the anterior wall. The AI target was reduced to 300 in case of signs of oesophageal injury (pain during local anaesthesia or temperature probe heating during general anaesthesia). The procedural endpoint was not PVI per se but a perfect circle leading invariably to PVI. This CLOSE protocol was evaluated in >400 patients with paroxysmal AF. A prospective, multi-center, randomised trial is required. Former procedures for the ablation of persistent AF often included the creation of linear lesions in the LA and focal ablation of CFAEs in the left or in both atria. The rational for creating linear lesions was mainly imitating the maze procedure described by Cox31 with a percutaneous interventional approach. The procedure has not been standardised, but mostly a roof line and a mitral isthmus line were performed. Haïssaguerre et al. 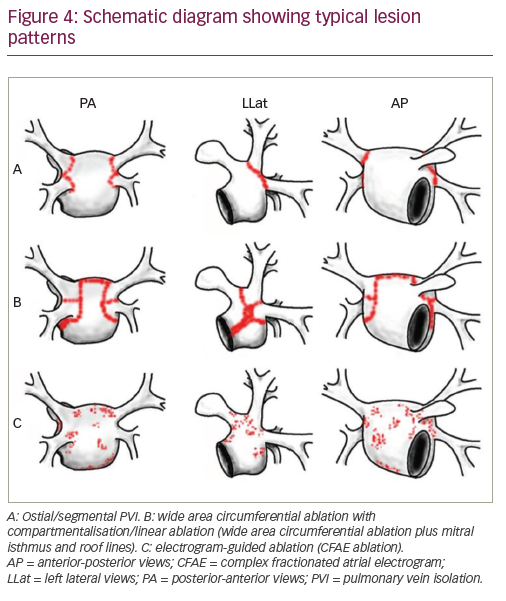 introduced the stepwise ablation approach consisting of PVI and CFAE and linear lesion formation aiming at AF termination in 2005.71,72 Figure 4 shows a schematic drawing of these ablation strategies. But subsequent large registries reported single-procedure success rates of only 35% and 48%, respectively, after 12 months follow-up.73,74 CHASE-AF (Randomized Catheter Ablation of Persistent Atrial Fibrillation Study), a single-centre randomised trial, investigated the stepwise approach aimed at AF termination versus PVI alone for the ablation of persistent AF.75 The investigators found no difference in arrhythmia recurrence, but a higher incidence of atrial tachycardia in the stepwise ablation approach group. Accordingly, the Alster-Lost-AF trial (Ablation at St. Georg Hospital for Long-Standing Persistent Atrial Fibrillation) could not demonstrate an additional benefit of the stepwise approach aimed at AF termination over PVI alone for persistent and long-standing persistent AF.76 These results suggested that substrate modification aimed at AF termination is no suitable strategy to reduce AF recurrence in patients with persistent AF. STAR AF II (Substrate and Trigger Ablation for Reduction of Atrial Fibrillation Trial Part II), a multicenter randomised trial, enrolled 589 patients with persistent AF and compared stand-alone PVI to PVI with additional ablation of CFAEs or linear lesions.77 Additional ablation did not reduce AF recurrence. After 18 months, AF recurrence occurred in 41% of patients with PVI alone, in 51% of patients with PVI plus CFAE, and in 54% in patients with PVI plus linear lesions. This well-recognised study influenced the ablation strategy for persistent AF, so that CFAE ablation and linear lesion formation are no longer used routinely by the majority of electrophysiologists. Despite its relatively low efficacy, PVI has become the primary ablation strategy for persistent AF. New strategies for substrate modification are urgently required to further improve the outcome after catheter ablation of persistent AF. Structural remodelling with atrial fibrosis and scarring is a well-recognised factor in the pathogenesis of persistent AF. Left atrial fibrosis and scarring can be detected by delayed enhancement magnetic resonance imaging (DE-MRI). The feasibility of atrial tissue fibrosis estimation by DE-MRI and its association with subsequent AF ablation outcome was examined in the DECAAF study.78 The conclusion was that among patients with AF undergoing catheter ablation, atrial tissue fibrosis estimated by DE-MRI was independently associated with likelihood of recurrent arrhythmia. Regions of enhancement on DE-MRI are well correlated with low-voltage regions on electroanatomical maps.79 Low-voltage can therefore be regarded as a surrogate marker for atrial fibrosis. Rolf et al. reported that additional ablation for low-voltage areas defined as <0.5 mV recorded during sinus rhythm reduced AF recurrence after PVI.80 Methods for detection and ablation of low-voltage areas differed. Yamaguchi et al. demonstrated the effect of regional ablation of low-voltage areas,81 whereas Kottkamp et al. proposed circumferential isolation, which they called box isolation of fibrotic areas (BIFA).82 Randomised studies are required to confirm the efficacy of this strategy and to compare different approaches. The posterior wall of the LA is isolated as a possible site of non-PV triggers or fibrotic areas,85,88 but outcome data of routine posterior wall ablation remain contradictory. Incomplete and non-durable posterior wall isolation may have contributed to the reduced efficacy of this method. Bai et al. showed that, in patients with persistent AF, posterior wall isolation in the LA, which was proven by repeat procedure, improved the outcome after ablation.89 Another study suggested the usefulness of routine adenosine challenge for dormant posterior wall conduction.90 In summary, recent data indicate that durable isolation of the left atrial posterior wall in patients with persistent AF could improve the outcome of catheter ablation. Whereas early studies have reported that FIRM-guided ablation in addition to PVI results in high rates of acute AF termination and long-term freedom from recurrent atrial tachyarrhythmia,47,91 more recent studies have failed to confirm these findings.92,93 It remains uncertain if AF is truly the result of rotors or if it is secondary to other simpler re-entrant mechanisms.32 Multicentre, prospective, randomised studies are necessary to evaluate the efficacy of this new strategy. GP ablation has only been evaluated in a few small studies.95 Further trials are needed before it can be adopted into standard practice. A recent study by de Groot et al. supports the concept that during AF, the endo- and epicardial layers of the atrial wall can be asynchronously activated.128 This was evaluated using an endo-epicardial mapping clamp introduced through an intraoperative incision of the right atrium. If patients were in sinus rhythm, AF was induced. The presence of dissociated layers of fibrillation waves can stabilise AF, because fibrillation waves dying out in one layer can be replaced by breakthroughs from the opposite side. This transmural conduction of fibrillation waves may explain the persistence of AF and unsuccessful catheter ablations. Another explanation for unsuccessful ablation attempts could be recent reports about the spatio-temporal instability of AF. In previous studies, target-specific ablation of AF was proposed by directly ablating AF-driving sources exhibiting high-frequency, periodic activity.129 These driving sources were regarded as quite stable, so that the non-invasive location of sites with the highest dominant frequency (DF) by panoramic body surface mapping prior to the ablation was considered. Recent studies, however, revealed by means of high-density noncontact mapping that these DF sites were temporally unstable; although, reappearance of DF values occurred at times. It was concluded that targeting sites of peak DF from a single time frame is unlikely to be a reliable ablation strategy.130 Mapping results hinted at potentially non-random temporally periodic behaviour of highest DF sites. Another study evaluated the temporal behaviour and consistency of bipolar atrial electrograms (AEG) in human persistent AF.131 AEGs were recorded with segment lengths of 2.5, 5.0, and 8.0 s. AEGs with 8.0 s duration were devided into three consecutive segments of 2.5 s. Forty-three percent of the AEGs remained fractionated for all three of these segments, while nearly 30% were temporally unstable. This means that a period as short as 2.5 s for AEG recording, as used in the CARTO®3 system (Biosense-Webster Inc., Irvine, CA, US) for CFAE mapping, might identify discordant atrial regions as targets for ablation depending on the timing of AEG collection. This could have contributed to the conflicting results of ablation for persistent AF. The detection of a certain spatio-temporal instability of AF will have implications on global or panoramic versus regional mapping strategies for AF ablation. In recent studies, contact as well as non-contact mapping has been used to detect areas of repetitive high-frequency activation, which possibly interact with high organisation as well as phase mapping targets. In one of these studies, the spatio-temporal association between DF and re-entrant phase activation areas was investigated in persistent AF by means of a non-contact array catheter.132 The phase maps presented multiple simultaneous PS points drifting over the LA. Regions of higher PS concentrations showed a degree of colocalisation with DF sites. In 61.8% of the time window, PS regions were found next to DF regions, in 36.8% there were overlaps of PS and DF regions. Sites with highest DF showed a greater degree of organisation at their core compared with their periphery. After PVI, PS incidence was reduced over the entire LA, supporting the assumption that PS sites are of some relevance for the atrial substrate. In another study, a novel real-time three-dimensional mapping technique was used to identify repetitive-regular activities (RRas).133 Patients were randomised into a group undergoing ablation of RRa followed by modified circumferential PV ablation, and another group assigned to modified circumferential PV ablation alone. Thirty-nine percent of RRas were identified in the PVs, 61% in non-PV regions. RRa mapping-guided ablation resulted in higher arrhythmia termination rates compared with the conventional approach (61% versus 30%) and had an adjunctive benefit in terms of arrhythmia freedom at 1-year follow-up. Honarbakhsh et al. looked at the identification of focal sources of AF.134 They analysed either basket or Penta Ray recordings using CARTOFINDER (Biosense-Webster, Diamond Bar, CA, US) and a defined region of interest algorithm (≥2 consecutive focal activations with one electrode leading relative to its neighbours with QS morphology on the unipolar electrogram). Drivers identified as regions of interest were associated with a greater temporal stability, a higher recurrence rate, and a higher number of AF terminations compared to those not identified as a region of interest. This suggests that these sources may be a viable therapeutic target in persistent AF ablation. All these findings should be confirmed in prospective randomised studies and may influence future ablation strategies for persistent AF. Despite the clinical importance of AF, the understanding of pathophysiology and mechanisms of this arrhythmia remain incompletely understood. There have been various models proposed for AF mechanisms over time, influencing treatment strategies. Within the last 20 years, catheter ablation of AF has played an emerging role for rhythm control therapy of AF, and several ablation strategies have been derived from the different mechanisms of AF proposed. The primary target of AF ablation is the isolation of all PV, in both paroxysmal and persistent AF. In persistent AF, additional substrate modification is often necessary to prevent recurrence of AF in the structural remodelled atria. Ablation of fibrotic areas in the LA is currently one of the most promising strategies for substrate modification, even though it has not yet been standardised. The first results of the ablation of rotational activity in both atria were impressive, but more recent studies in this field have been contradictory. Large randomised studies are needed for almost all the most modern proposed techniques, whilst historic techniques such as linear lesion formation and CFAE ablation have lost importance in clinical practice because of poor study results. AF may have multiple, disparate mechanisms in different patients or even in the same patient at different times; therefore, adequate AF ablation, especially for persistent AF, will probably require a patient-tailored approach instead of a ‘one size fits all’ strategy. Kishore A, Vail A, Majid A, et al. Detection of atrial fibrillation after ischemic stroke or transient ischemic attack: a systematic review and meta-analysis. Stroke. 2014;45:520–6. Sanna T, Diener HC, CRYSTAL. Cryptogenic stroke and underlying atrial fibrillation. N Engl J Med. 2014;370:2478–86. Zoni-Berisso M, Lercari F, Carazza T, et al. Epidemiology of atrial fibrillation: European perspective. Clin Epidemiol. 2014;6:213–20. McManus DD, Rienstra M, Benjamin EJ. An update on the prognosis of patients with atrial fibrillation. Circulation. 2012;126:e143–6. Ball J, Carrington MJ, McMurray JJ, et al. Atrial fibrillation: profile and burden of an evolving epidemic in the 21st century. Int J Cardiol. 2013;167:1807–24. Kannel WB, Wolf PA, Benjamin EJ, et al. Prevalence, incidence, prognosis, and predisposing conditions for atrial fibrillation: population-based estimates. Am J Cardiol. 1998;82:2N–9N. Oldgren J, Healey JS. RE-LY Atrial Fibrillation Registry Investigators, et al. Variations in cause and management of atrial fibrillation in a prospective registry of 15,400 emergency department patients in 46 countries: the RE-LY Atrial Fibrillation Registry. Circulation. 2014;129:1568–76. Chiang CE, Naditch-Brule L, Murin J, et al. Distribution and risk profile of paroxysmal, persistent, and permanent atrial fibrillation in routine clinical practice: insight from the reallife global survey evaluating patients with atrial fibrillation international registry. Circ Arrhythm Electrophysiol. 2012;5:632–9. Stewart S, Hart CL, Hole DJ, et al. A population-based study of the longterm risks associated with atrial fibrillation: 20-year follow-up of the Renfrew/Paisley study. Am J Med. 2002;113:359–64. Andersson T, Magnuson A, Bryngelsson IL, et al. All-cause mortality in 272,186 patients hospitalized with incident atrial fibrillation 1995-2008: a Swedish nationwide long-term casecontrol study. Eur Heart J. 2013;34:1061–7. Chimenti C, Russo MA, Carpi A, et al. Histological substrate of human atrial fibrillation. Biomed Pharmacother. 2010;64:177–83. Nguyen BL, Fishbein MC, Chen LS, et al. Histopathological substrate for chronic atrial fibrillation in humans. Heart Rhythm. 2009;6:454–60. Frustaci A, Chimenti C, Bellocci F, et al. Histological substrate of atrial biopsies in patients with lone atrial fibrillation. Circulation. 1997;96:1180–4. Venteclef N, Guglielmi V, Balse E, et al. Human epicardial adipose tissue induces fibrosis of the atrial myocardium through the secretion of adipofibrokines. Eur Heart J. 2013;36:795–805a. Rocken C, Peters B, Juenemann G, et al. Atrial amyloidosis: an arrhythmogenic substrate for persistent atrial fibrillation. Circulation. 2002;106:2091–7. Schotten U, Ausma J, Stellbrink C, et al. Cellular mechanisms of depressed atrial contractility in patients with chronic atrial fibrillation. Circulation. 2001;103:691–8. Zhang H, Li J, Chen X, et al. Association of systemic inflammation score with atrial fibrillation: A case-control study with propensity score matching. Heart Lung Circ. 2018;27:489–96. Allessie MA, de Groot NM, Houben RP, et al. Electropathological substrate of long-standing persistent atrial fibrillation in patients with structural heart disease: longitudinal dissociation. Circ Arrhythm Electrophysiol. 2010;3:606–15. Haïssaguerre M, Jaïs P, Shah DC, et al. Spontaneous initiation of atrial fibrillation by ectopic beats originating in the pulmonary veins. N Engl J Med. 1998;339:659–66. Patterson E, Jackman WM, Beckman KJ, et al. Spontaneous pulmonary vein firing in man: relationship to tachycardia-pause early afterdepolarizations and triggered arrhythmia in canine pulmonary veins in vitro. 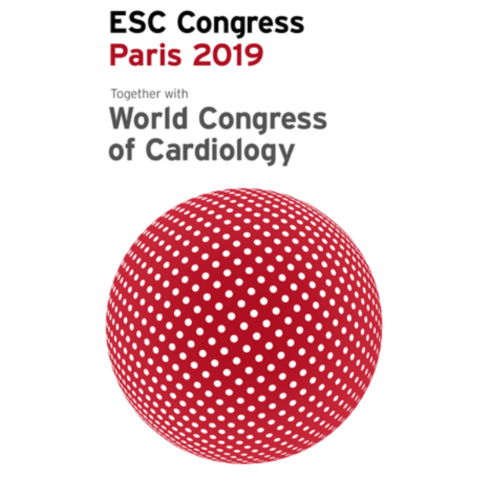 J Cardiovasc Electrophysiol. 2007;18:1067–75. Atienza F, Almendral J, Moreno J, et al. Activation of inward rectifier potassium channels accelerates atrial fibrillation in humans: evidence for a reentrant mechanism. Circulation. 2006;114:2434–42. Nabar N, Pathan I. Pathophysiology of atrial fibrillation – current concepts.. J Assoc Physicians India. 2016;64(Suppl. 1):11–15. Moe GK, Abildskov JA. Atrial fibrillation as a self-sustaining arrhythmia independent of focal discharge. Am Heart J. 1959;58:59–70. Moe GK, Rheinboldt WC, Abildskov JA. A computer model of atrial fibrillation. Am Heart J. 1964;67:200–20. Allessie MA Lammers WJEP, Bonke FIM, Hollen SJ. Experimental Evaluation of Moe’s Multiple Wavelet Hypothesis of Atrial Fibrillation. In: Zipes DP and Jalife J (eds), Cardiac Electrophysiology and Arrhythmias, New York;Grune & Stratton:1985;265–76. Cox JL, Schuessler RB, D’Agostino HJ Jr, et al. The surgical treatment of atrial fibrillation. III. Development of a definitive surgical procedure. J Thorac Cardiovasc Surg. 1991;101:569–83. Waks JW, Josephson ME. Mechanisms of atrial fibrillation – reentry, rotors and reality. Arrhythm Electrophysiol Rev. 2014;3:90–100. Shiroshita-Takeshita A, Brundel BJ, Nattel S. Atrial fibrillation: basic mechanisms, remodeling and triggers. J Interv Card Electrophysiol. 2005;13:181–93. Allessie MA, Bonke FI, Schopman FJ. Circus movement in rabbit atrial muscle as a mechanism of tachycardia. III. The “leading circle” concept: a new model of circus movement in cardiac tissue without the involvement of an anatomical obstacle. Circ Res. 1977;41:9–18. 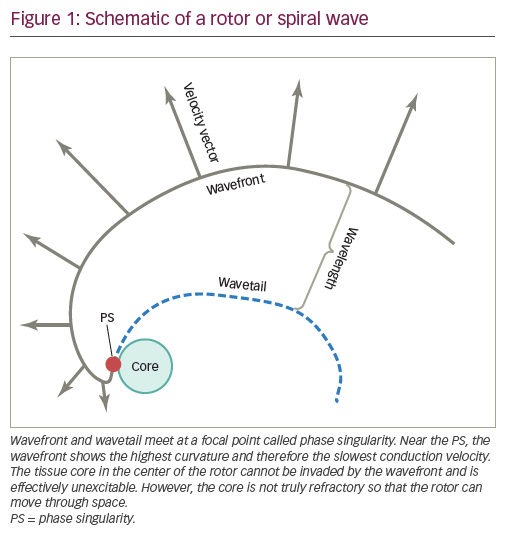 Comtois P, Kneller J, Nattel S. Of circles and spirals: bridging the gap between the leading circle and spiral wave concepts of cardiac reentry. Europace. 2005;7(Suppl. 2):10–20. Nattel S. New ideas about atrial fibrillation 50 years on. Nature. 2002;415:219–26. Davidenko JM, Kent PF, Chialvo DR, et al. Sustained vortex-like waves in normal isolated ventricular muscle. Proc Natl Acad Sci USA. 1990;87:8785–9. Pandit SV, Jalife J. Rotors and the dynamics of cardiac fibrillation. Circ Res. 2013;112: 849–62. Vaquero M, Calvo D, Jalife J. Cardiac fibrillation: from ion channels to rotors in the human heart. Heart Rhythm. 2008;5:872–9. Berenfeld O, Zaitsev AV, Mironov SF, et al. Frequency dependent breakdown of wave propagation into fibrillatory conduction across the pectinate muscle network in the isolated sheep right atrium. Circ Res. 2002;90:1173–80. Schuessler RB, Grayson TM, Bromberg BI, et al. Cholinergically mediated tachyarrhythmias induced by a single extrastimulus in the isolated canine right atrium. Circ Res. 1992;71:1254–67. Mansour M, Mandapati R, Berenfeld O, et al. Left-to-right gradient of atrial frequencies during acute atrial fibrillation in the isolated sheep heart. Circulation. 2001;103:2631–6. Lazar S, Dixit S, Marchlinski FE, et al. Presence of left-to-right atrial frequency gradient in paroxysmal but not persistent atrial fibrillation in humans. Circulation. 2004;110:3181–6. Lazar S, Dixit S, Callans DJ, et al. Effect of pulmonary vein isolation on the left-to-right atrial dominant frequency gradient in human atrial fibrillation. Heart Rhythm. 2006;3:889–95. Atienza F, Almendral J, Jalife J, et al. Real-time dominant frequency mapping and ablation of dominant frequency sites in atrial fibrillation with left-to-right frequency gradients predicts long-term maintenance of sinus rhythm. Heart Rhythm. 2009;6:33–40. Narayan SM, Krummen DE, Shivkumar K, et al. Treatment of atrial fibrillation by the ablation of localized sources: CONFIRM (Conventional Ablation for Atrial Fibrillation With or Without Focal Impulse and Rotor Modulation) trial. J Am Coll Cardiol. 2012;60:628–36. Gardner PI, Ursell PC, Fenoglio JJ Jr., et al. Electrophysiologic and anatomic basis for fractionated electrograms recorded from healed myocardial infarcts. Circulation. 1985;72:596–611. de Bakker JM, Wittkampf FH. The pathophysiologic basis of fractionated and complex electrograms and the impact of recording techniques on their detection and interpretation. Circ Arrhythm Electrophysiol. 2010;3:204–13. Katritsis D, Giazitzoglou E, Sougiannis D, et al. Complex fractionated atrial electrograms at anatomic sites of ganglionated plexi in atrial fibrillation. Europace. 2009;11:308–15. Hunter RJ, Diab I, Tayebjee M, et al. Characterization of fractionated atrial electrograms critical for maintenance of atrial fibrillation: a randomized, controlled trial of ablation strategies (the CFAE AF trial). Circ Arrhythm Electrophysiol. 2011;4:622–9. Verma A, Mantovan R, Macle L, et al. Substrate and trigger ablation for reduction of atrial fibrillation (STAR AF): a randomized, multicentre, international trial. Eur Heart J. 2010;31:1344–56. Oral H, Chugh A, Yoshida K, et al. A randomized assessment of the incremental role of ablation of complex fractionated atrial electrograms after antral pulmonary vein isolation for long-lasting persistent atrial fibrillation. J Am Coll Cardiol. 2009;53:782–9. Li WJ, Bai YY, Zhang HY, et al. Additional ablation of complex fractionated atrial electrograms after pulmonary vein isolation in patients with atrial fibrillation: a meta-analysis. Circ Arrhythm Electrophysiol. 2011;4:143–8. Wynn GJ, Das M, Bonnett LJ, et al. Efficacy of catheter ablation for persistent atrial fibrillation. A systematic review and meta-analysis of evidence from randomized and nonrandomized controlled trials. Circ Arrhythm Electrophysiol. 2014;7:841–52. Sharifov OF, Fedorov VV, Beloshapko GG, et al. Roles of adrenergic and cholinergic stimulation in spontaneous atrial fibrillation in dogs. J Am Coll Cardiol. 2004;43:483–90. Bettoni M, Zimmermann M. Autonomic tone variations before the onset of paroxysmal atrial fibrillation. Circulation. 2002;105:2753–9. Coumel P. Paroxysmal atrial fibrillation: a disorder of autonomic tone? Eur Heart J. 1994;15(Suppl A):9–16. Armour JA, Murphy DA, Yuan BX, et al. Gross and microscopic anatomy of the human intrinsic cardiac nervous system. Anat Rec. 1997;247:289–98. Vaitkevicius R, Saburkina I, Rysevaite K, et al. 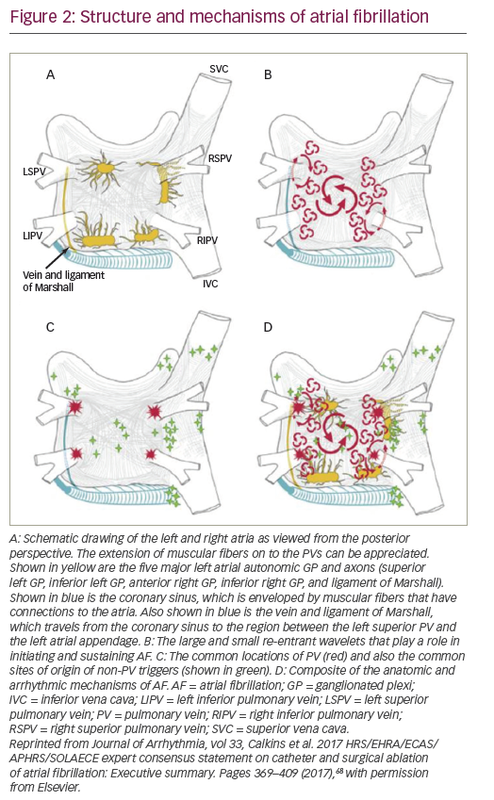 Nerve supply of the human pulmonary veins: an anatomical study. Heart Rhythm. 2009;6:221–8. Hou Y, Scherlag BJ, Lin J, et al. Ganglionated plexi modulate extrinsic cardiac autonomic nerve input: effects on sinus rate, atrioventricular conduction, refractoriness, and inducibility of atrial fibrillation. J Am Coll Cardiol. 2007;50:61–8. Liu L, Nattel S. Differing sympathetic and vagal effects on atrial fibrillation in dogs: role of refractoriness heterogeneity. Am J Physiol. 1997;273(2 Pt 2):H805–16. Lim PB, Malcolme-Lawes LC, Stuber T, et al. Intrinsic cardiac autonomic stimulation induces pulmonary vein ectopy and triggers atrial fibrillation in humans. J Cardiovasc Electrophysiol. 2011;22:638–46. Mao J, Yin X, Zhang Y, et al. Ablation of epicardial ganglionated plexi increases atrial vulnerability to arrhythmias in dogs. Circ Arrhythm Electrophysiol. 2014;7:711–7. Zhou J, Scherlag BJ, Edwards J, et al. Gradients of atrial refractoriness and inducibility of atrial fibrillation due to stimulation of ganglionated plexi. J Cardiovasc Electrophysiol. 2007;18:83–90. Scherlag BJ, Yamanashi W, Patel U, et al. Autonomically induced conversion of pulmonary vein focal firing into atrial fibrillation. J Am Coll Cardiol. 2005;45:1878–86. Lu Z, Scherlag BJ, Lin J, et al. Autonomic mechanism for initiation of rapid firing from atria and pulmonary veins: evidence by ablation of ganglionated plexi. Cardiovasc Res. 2009;84:245–52. Calkins H, Hindricks G, Cappato R, et al. 2017 HRS/EHRA/ECAS/APHRS/SOLAECE expert consensus statement on catheter and surgical ablation of atrial fibrillation: Executive summary. J Arrhythm. 2017;33:369–409. Miyazaki S, Kuwahara T, Kobori A, et al. Preprocedural predictors of atrial fibrillation recurrence following pulmonary vein antrum isolation in patients with paroxysmal atrial fibrillation: Long-term follow-up results. J Cardiovasc Electrophysiol. 2011;22:621–5. Nanthakumar K, Plumb VJ, Epstein AE, et al. Resumption of electrical conduction in previously isolated pulmonary veins: Rationale for a different strategy? Circulation. 2004;109:1226–9. Haïssaguerre M, Hocini M, Sanders P, et al. Catheter ablation of long-lasting persistent atrial fibrillation: Clinical outcome and mechanisms of subsequent arrhythmias. J Cardiovasc Electrophysiol. 2005;16:1138–47. Haïssaguerre M, Sanders P, Hocini M, et al. Catheter ablation of long-lasting persistent atrial fibrillation: Critical structures for termination. J Cardiovasc Electrophysiol. 2005;16:1125–37. Schreiber D, Rostock T, Frohlich M, et al. Five-year follow-up after catheter ablation of persistent atrial fibrillation using the stepwise approach and prognostic factors for success. Circ Arrhythm Electrophysiol. 2015;8:308–17. Scherr D, Khairy P, Miyazaki S, et al. Five-year outcome of catheter ablation of persistent atrial fibrillation using termination of atrial fibrillation as a procedural endpoint. Circ Arrhythm Electrophysiol. 2015;8:18–24. Vogler J, Willems S, Sultan A, et al. Pulmonary vein isolation versus defragmentation: The CHASE-AF Clinical Trial. J Am Coll Cardiol. 2015;66:2743–52. Fink T, Schluter M, Heeger CH, et al. Stand-alone pulmonary vein isolation versus pulmonary vein isolation with additional substrate modification as index ablation procedures in patients with persistent and long-standing persistent atrial fibrillation: The Randomized Alster-Lost-AF Trial (Ablation at St. Georg Hospital for Long-Standing Persistent Atrial Fibrillation). Circ Arrhythm Electrophysiol. 2017;10:e005114. Verma A, Jiang CY, Betts TR, et al. Approaches to catheter ablation for persistent atrial fibrillation. N Engl J Med. 2015;372:1812–22. Marrouche NF, Wilber D, Hindricks G, et al. Association of atrial tissue fibrosis identified by delayed enhancement MRI and atrial fibrillation catheter ablation. The DECAAF study. JAMA. 2014;311:498–506. Oakes RS, Badger TJ, Kholmovski EG, et al. Detection and quantification of left atrial structural remodeling with delayed-enhancement magnetic resonance imaging in patients with atrial fibrillation. Circulation. 2009;119:1758–67. Rolf S, Kircher S, Arya A, et al. Tailored atrial substrate modification based on low-voltage areas in catheter ablation of atrial fibrillation. Circ Arrhythm Electrophysiol. 2014;7:825–33. Yamaguchi T, Tsuchiya T, Nakahara S, et al. Efficacy of left atrial voltage-based catheter ablation of persistent atrial fibrillation. J Cardiovasc Electrophysiol. 2016;27:1055–63. Kottkamp H, Berg J, Bender R, et al. Box Isolation of fibrotic areas (BIFA): A patient-tailored substrate modification approach for ablation of atrial fibrillation. J Cardiovasc Electrophysiol. 2016;27:22–30. Chang HY, Lo LW, Lin YJ, et al. Long-term outcome of catheter ablation in patients with atrial fibrillation originating from nonpulmonary vein ectopy. J Cardiovasc Electrophysiol. 2013;24:250–8. Hayashi K, An Y, Nagashima M, et al. Importance of nonpulmonary vein foci in catheter ablation for paroxysmal atrial fibrillation. Heart Rhythm. 2015;12:1918–24. Santangeli P, Zado ES, Hutchinson MD, et al. Prevalence and distribution of focal triggers in persistent and long-standing persistent atrial fibrillation. Heart Rhythm. 2016;13:374–82. Dixit S, Marchlinski FE, Lin D, et al. Randomized ablation strategies for the treatment of persistent atrial fibrillation: RASTA study. Circ Arrhythm Electrophysiol. 2012;5:287–94. Liang JJ, Elafros MA, Muser D, et al. Pulmonary vein antral isolation and nonpulmonary vein trigger ablation are sufficient to achieve favorable long-term outcomes including transformation to paroxysmal arrhythmias in patients with persistent and long-standing persistent atrial fibrillation. Circ Arrhythm Electrophysiol. 2016;9:e004239. Cutler MJ, Johnson J, Abozguia K, et al. 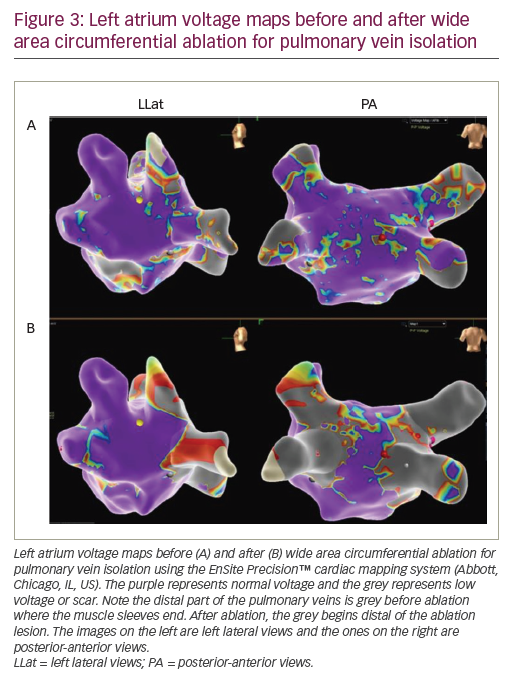 Impact of voltage mapping to guide whether to perform ablation of the posterior wall in patients with persistent atrial fibrillation. J Cardiovasc Electrophysiol. 2016;27:13–21. Bai R, Di Biase L, Mohanty P, et al. Proven isolation of the pulmonary vein antrum with or without left atrial posterior wall isolation in patients with persistent atrial fibrillation. Heart Rhythm. 2016;13:132–40. McLellan AJA, Prabhu S, Voskoboinik A, et al. Isolation of the posterior left atrium for patients with persistent atrial fibrillation: Routine adenosine challenge for dormant posterior left atrial conduction improves long-term outcome. Europace. 2017;19:1958–66. Miller JM, Kowal RC, Swarup V, et al. Initial independent outcomes from focal impulse and rotor modulation ablation for atrial fibrillation: Multicenter FIRM registry. J Cardiovasc Electrophysiol. 2014;25:921–9. Buch E, Share M, Tung R, et al. Long-term clinical outcomes of focal impulse and rotor modulation for treatment of atrial fibrillation: A multicenter experience. Heart Rhythm. 2016;13:636–41. Berntsen RF, Haland TF, Skardal R, et al. Focal impulse and rotor modulation as a stand-alone procedure for the treatment of paroxysmal atrial fibrillation: A within-patient controlled study with implanted cardiac monitoring. Heart Rhythm. 2016;13:1768–74. Pappone C, Santinelli V, Manguso F, et al. Pulmonary vein denervation enhances long-term benefit after circumferential ablation for paroxysmal atrial fibrillation. Circulation. 2004;109:327–34. Katritsis DG, Pokushalov E, Romanov A, et al. Autonomic denervation added to pulmonary vein isolation for paroxysmal atrial fibrillation: a randomized clinical trial. J Am Coll Cardiol. 2013;62:2318–25. Tzou WS, Marchlinski FE, Zado ES, et al. Long-term outcome after successful catheter ablation of atrial fibrillation. Circ Arrhythm Electrophysiol. 2010;3:237–42. Yubing W, Yanping X, Zhiyu L, et al. Long-term outcome of radiofrequency catheter ablation for persistent atrial fibrillation. Medicine. 2018;97:29–35. Anselmino M, Matta M, D´Ascenzo F, et al. Catheter ablation of atrial fibrillation in patients with left ventricular systolic dysfunction. A systematic review and meta-analysis. Circ Arrhythm Electrophysiol. 2014;7:1011–8. Liang JJ, Callans DJ. Ablation for atrial fibrillation in heart failure with reduced ejection fraction. Cardiac Failure Review. 2018;4:33–7. Zhao DS, Shen Y, Zhang Q, et al. Outcomes of catheter ablation of atrial fibrillation in patients with hypertrophic cardiomyopathy: a systematic review and meta-analysis. Europace. 2016;18:508–20. Qiao Y, Wu L, Hou B, et al. Functional mitral regurgitation: predictor for atrial substrate remodeling and poor ablation outcome in paroxysmal atrial fibrillation. Medicine. 2016;95:30–5. Wynn GJ, El-Kadri M, Haq I, et al. Long-term outcomes after ablation of persistent atrial fibrillation: an observational study over 6 years. Open Heart. 2016;3:e000394. Kuck KH, Fürnkranz A, Chun KRJ, et al. Cryoballoon or radiofrequency ablation for symptomatic paroxysmal atrial fibrillation: reintervention, rehospitalization, and quality of life outcomes in the FIRE AND ICE trial. Eur Heart J. 2016;37:2858–65. Hachem AH, Marine JE, Housam AT, et al. Radiofrequency ablation versus cryoablation in the treatment of paroxysmal atrial fibrillation: A meta-analysis. Cardiol Res Pract. 2018; DOI: 10.1155/2018/6276241. Jiang RH, Po SS, Tung R, et al. Incidence of pulmonary vein conduction recovery in patients without clinical recurrence after ablation of paroxysmal atrial fibrillation: Mechanistic implications. Heart Rhythm. 2014;11:969–76. Okamatsu H, Okamura K. Strategy and outcome of catheter ablation for persistent atrial fibrillation – impact of progress in the mapping and ablation technologies. Circ J. 2018;82:2–9. Chang HY, Lo LW, Lin YJ, et al. Long-term outcome of catheter ablation in patients with atrial fibrillation originating from the superior vena cava. J Cardiovasc Electrophysiol. 2012;23:955–61. Parkash R, Verma A, Tang ASL. Persistent atrial fibrillation: Current approach and controversies. Curr Opin Cardiol. 2010;25:1–7. Brooks AG, Stiles MK, Laborderie J, et al. Outcomes of long-standing persistent atrial fibrillation ablation: A systematic review. Heart Rhythm. 2010;7:835–46. Cheema A, Dong J, Dalal D, et al. Circumferential ablation with pulmonary vein isolation in permanent atrial fibrillation. Am J Cardiol. 2007;99:1425–8. Reddy VY, Shah D, Kautzner J, et al. The relationship between contact force and clinical outcome during radiofrequency catheter ablation of atrial fibrillation in the TOCCATA study. Heart Rhythm. 2012;9:1789–95. Itoh T, Kimura M, Tomita H, et al. Reduced residual conduction gaps and favourable outcome in contact force-guided circumferential pulmonary vein isolation. Europace. 2016;18:531–7. Neuzil P, Reddy VY, Kautzner J, et al. Electrical reconnection after pulmonary vein isolation is contingent on contact force during initial treatment: Results from the EFFICAS I study. Circ Arrhythm Electrophysiol. 2013;6:327–33. Neuzil P, Kuck KH, Nakagawa H, et al. Lesion size index for prediction of reconnection risk following RF ablation for PVI. Heart Rhythm. 2012;9:55:S492. Das M, Loveday JJ, Wynn GJ, et al. Ablation index, a novel marker of ablation lesion quality: prediction of pulmonary vein reconnection at repeat electrophysiology study and regional differences in target values. Europace. 2016;19:775–83. Whitaker J, Panikker S, Fastl T, et al. Tissue thickness affects likelihood of acute electrical reconnection at the ostium of the left atrial appendage following radiofrequency ablation. Pacing Clin Electrophysiol. 2017;40:1218–26. Taghji P, El Haddad M, Phlips T, et al. Evaluation of a strategy aiming to enclose the pulmonary veins with contiguous and optimized radiofrequency lesions in paroxysmal atrial fibrillation: a pilot study. JACC Clin Electrophysiol. 2018;4:99–108. El Haddad M, Taghji P, Phlips T, et al. Determinants of acute and late pulmonary vein reconnection in contact force-guided pulmonary vein isolation: identifying the weakest link in the ablation chain. Circ Arrhythm Electrophysiol. 2017;10:e004867. Pison L, Tilz R, Jalife J, et al. Pulmonary vein triggers, focal sources, rotors and atrial cardiomyopathy: implications for the choice of the most effective ablation therapy. J Intern Med. 2016;279:449–56. Nattel S, Burstein B, Dobrev D. Atrial remodeling and atrial fibrillation: mechanisms and implications. Circ Arrhythm Electrophysiol. 2008;1:62–73. de Vos CB, Pisters R, Nieuwlaat R, et al. Progression from paroxysmal to persistent atrial fibrillation clinical correlates and prognosis. J Am Coll Cardiol. 2010;55:725–31. de Groot NM, Houben RP, Smeets JL, et al. Electropathological substrate of longstanding persistent atrial fibrillation in patients with structural heart disease: epicardial breakthrough. Circulation. 2010;122:1674–82. Santangeli P, Marchlinski FE. Techniques for the provocation, localization, and ablation of non-pulmonary vein triggers for atrial fibrillation. Heart Rhythm. 2017;14:1087–96. Dagres N, Bongiorni MG, Scientific Initiatives Committee, European Heart Rhythm Association, et al. Current ablation techniques for persistent atrial fibrillation: Results of the European Heart Rhythm Association Survey. Europace. 2015;17:1596–600. Tang WH, Lee KT, Tsai WC, et al. The feasibility and correlation of atrial fibrillation vulnerability test to the indices of atrial substrates using atrial burst decremental pacing. Kaohsiung Journal of Medical Sciences. 2013;29:299–303. Berthet K, Lavergne T, Cohen A, et al. Significant association of atrial vulnerability with atrial septal abnormalities in young patients with ischemic stroke of unknown cause. Stroke. 2000;31:398–403. Pokushalov E, Romanov A, Shugayev P, et al. Selective ganglionated plexi ablation for paroxysmal atrial fibrillation. Heart Rhythm. 2009;6:1257–64. de Groot N, van der Does L, Yaksh A, et al. Direct proof of endo-epicardial asynchrony of the atrial wall during atrial fibrillation in humans. Circ Arrhythm Electrophysiol. 2016;9:e003648. Atienza F, Climent AM, Guillem MS, et al. Frontiers on non-invasive cardiac mapping: Rotors in atrial fibrillation - body surface frequency-phase mapping. Card Electrophysiol Clin. 2015;7:59–69. Salinet JL, Tuan JH, Sandilands AJ, et al. Distinctive patterns of dominant frequency trajectory behavior in drug-refractory persistent atrial fibrillation: Preliminary characterization of spatiotemporal instability. J Cardiovasc Electrophysiol. 2014;25:371–9. Almeida TP, Chu GS, Bell MJ, et al. The temporal behavior and consistency of bipolar atrial electrograms in human persistent atrial fibrillation. Med Biol Eng Comput. 2018;56:71–83. Salinet J, Schlindwein FS, Stafford P, et al. Propagation of meandering rotors surrounded by areas of high dominant frequency in persistent atrial fibrillation. Heart Rhythm. 2017;14:1269–78. Pappone C, Ciconte G, Vicedomini G, et al. Clinical outcome of electrophysiologically guided ablation for nonparoxysmal atrial fibrillation using a novel real-time 3-dimensional mapping technique: Results from a prospective randomized trial. Circ Arrhythm Electrophysiol. 2018;11:e005904. Honarbakhsh S, Schilling RJ, Providencia R, et al. Automated detection of repetitive focal activations in persistent atrial fibrillation: Validation of a novel detection algorithm and application through panoramic and sequential mapping. J Cardiovasc Electrophysiol. 2018;1–9.